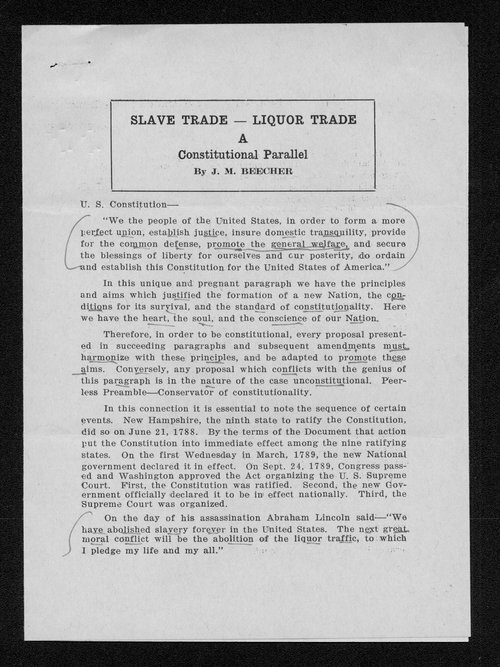 Kansas governor Andrew Schoeppel collected this series of correspondence on prohibition legislation and the repeal of state-sanctioned prohibition. Kansas passed a state constitutional amendment on prohibition in 1880. Kansas repealed that amendment in 1948.